A Chicago police sergeant shot and killed 19-year-old Kajuan Raye after believing Raye "matched the description" of a battery suspect and had allegedly pointed a weapon at the sergeant. Chicago police, however, did not recover the alleged gun. Late Wednesday night, Kajuan Raye was fatally wounded by a Chicago Police Department (CPD) sergeant, whose name has not been released to the public, in the West Englewood neighborhood of Chicago. The sergeant had responded to a call about a battery in progress when the sergeant found a man that "matched the description of the offender," CPD Superintendent Eddie Johnson said Thursday, according to the Chicago Tribune. The sergeant approached the man, but the man ran away, police said. The sergeant chased the man, who at some point "turned and pointed" a weapon at the sergeant, Johnson said. The sergeant fired his own weapon in response, hitting the man in the abdomen. The man was later identified as Kajuan Raye, 19, by his family. A wounded Raye was taken to a nearby hospital, where he was pronounced dead, according to the Cook County medical examiner's office. No officers were injured during the pursuit. 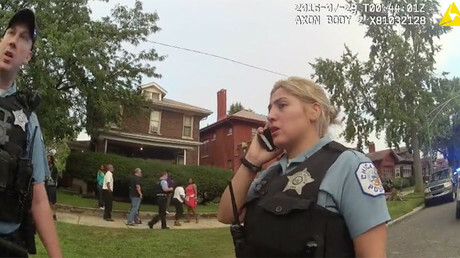 Police in the Englewood District do not wear body cameras, according to Mia Sissac, a spokeswoman for the Independent Police Review Authority. The CPD is seeking out surveillance video that may offer more information on the incident, Johnson said. A so-called grid search early Thursday by CPD officers and a K-9 unit found no gun at the scene, Johnson said. "Unfortunately, we still don’t have a complete synopsis of exactly how and what transpired," Johnson said, according to the Tribune. "There is still a lot of investigating going on." Raye's family and community activists said they are also searching for answers in the case after no weapon was found at the scene of the 19-year-old's murder. "There was no gun," Raye's cousin Ahkeya White said, according to the Tribune. She wondered why the shooting occurred, as the family was told Raye was standing at a bus stop with a friend near the scene of the alleged battery when the cop arrived and told them to go to the sergeant's police car. "Why, because I know he didn't do anything to deserve it," she added. "We want answers, but there's really no explanation for what happened other than this is what's been going on, and it seems, you know, that this is the norm. But it's unacceptable, it's unacceptable." The shooting is being investigated by the Independent Police Review Authority. Raye's family is "depending on the justice system, the legal system, to do what they do. They can search all night. There is no gun involved," White said, according to WBBM. "The only gun that was fired was from the Chicago Police Department." 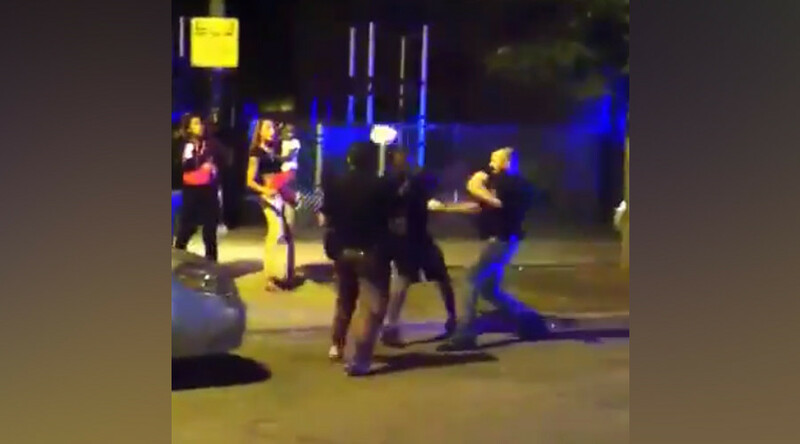 Police shot an unarmed man, activist Eric Russell told DNA Info Chicago. Russell said he went to the scene of the shooting to find any witnesses. "Police don't get to be judge, jury and executioner," Russell said. "Once again we have an unarmed black boy that was executed... Every time they police our community, they police our community with deadly intent. So, once again, we have another dead kid. There was no weapon recovered." During a press conference, activist Ja'Mal Green said the sergeant involved in the shooting has fired his weapon before. "This is not his first time shooting someone," Green said, according to DNA Info. "He needs to be stripped of his police powers immediately. That is what we're calling for... Why is he still on the streets? And why does he have the rank of a sergeant?" Green added that the CPD, which is under investigation by the US Department of Justice over its use of force and accountability policies, is in need of reform. "This is the same narrative being pushed on every situation," Green said. "Every situation they're a criminal. Every situation they have a gun. But now we've got them where we want them. ... In this situation, they said he had a gun, yet they can't recover a gun." 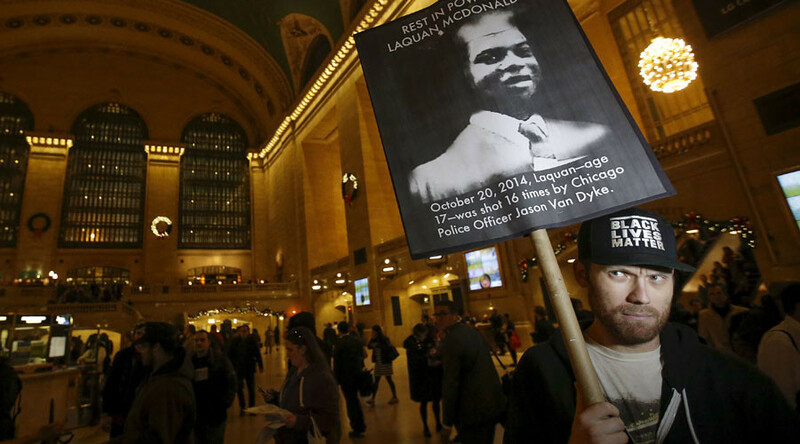 The DOJ investigation stems from the October 2014 police killing of Laquan McDonald. In November 2015, the CPD finally released a dashcam recording of the incident, showing McDonald was shot by Officer Jason Van Dyke. The officer, who shot the knife-wielding teen 16 times just seconds after arriving on the scene, was charged with first-degree murder. 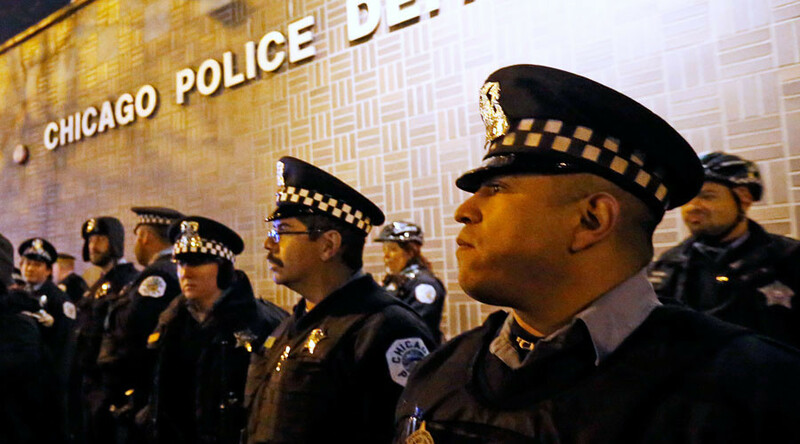 The video of the shooting spurred mass protests in Chicago and beyond. The McDonald shooting and subsequent fallout resulted in some efforts at police transparency regarding officer-involved shootings and complaints of police brutality. 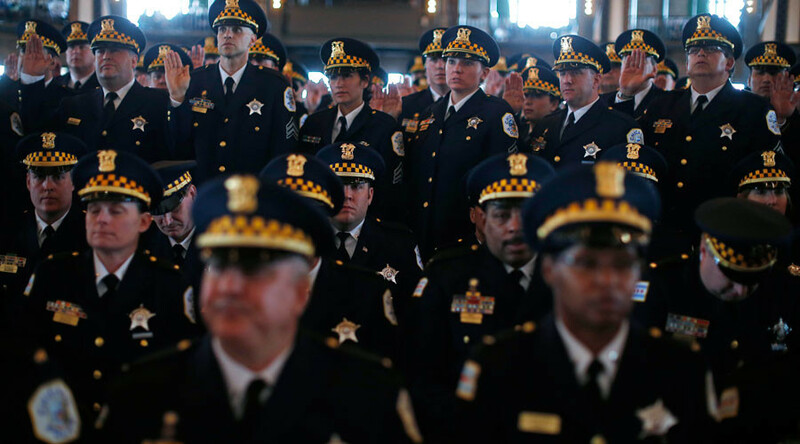 In December, Chicago Mayor Rahm Emanuel announced “fundamental” changes to police practices and created a new accountability task force. Between 2010 and 2015, CPD officers fired 2,623 bullets at citizens, killing 92 people and injuring 170 others, according to an analysis by the Tribune. Gun violence remains high throughout the city. 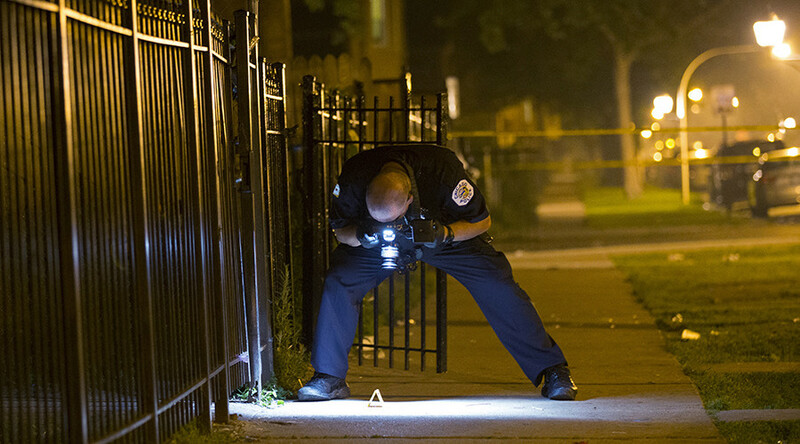 Chicago is on pace for its highest murder count since the late 1990s, according to FBI data.